When you need metal or steel fabricators turn to Triplett & Coffey in Boone. Often it's not practical for individuals or businesses to cut, bend and assemble metal pieces on their own, so that’s where metal fabricators step in to fill the void. Sometimes metal fabrication might mean constructing an elegant staircase. At other times, it might mean re-creating an auto part that can't be bought. In short, metal fabricating means creating anything out of metal. One of the more popular types, sheet metal fabrication, can be used for everything from the food industry to defense. Regardless of what your needs may be Triplett & Coffey are the metal or steel fabricators you need. No matter why you may need metal parts or machinery creating your job begins with finding the proper raw materials and metals to get the job done. These can include aluminum, steel, iron, stainless steel, copper, magnesium and even more precious materials, such as silver and gold. To discuss your metal fabrication project, contact us. 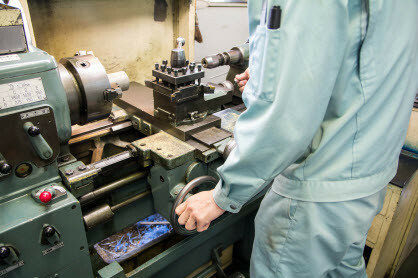 We'll be happy to look over your metal fabricating needs and make suggestions of how to get there. Simply call or e-mail us today for more information. What should we know about your requirements?